Chatbots are transforming customer service by making it possible for users to interact with a brand or site without directly contacting an individual. Unfortunately for those outside of the tech world, it isn’t easy to build your own AI unless you can write advanced code. It’s hard to discuss the future of technology in much detail without acknowledging the significant role chatbots are expected to play. For those who are unfamiliar with exactly what the term “chatbots” refers to, it’s simply a general term that applies to artificial intelligence systems that people can interact with via text and imagery. An example that most people are familiar with is Apple’s Siri or Amazon’s Alexa. But chatbots involve more than asking your phone for historical facts about Queen Elizabeth or how many teeth a great white shark has. (The answer is 300, by the way.) 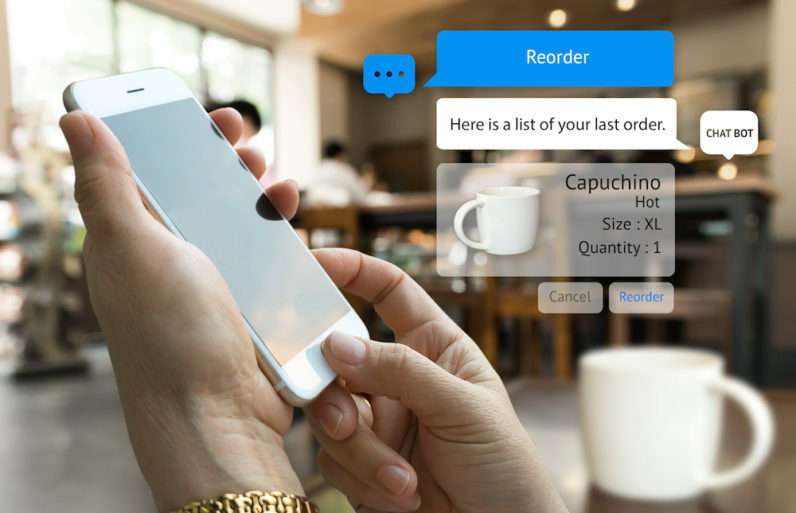 When fully utilized, chatbots provide the key that can unlock major business challenges and pain points – such as customer service. By as early as 2020, Gartner suggests that customers will manage as much as 85 percent of their relationship with companies without interacting with a single human. Chatbots will do most of the heavy lifting, while humans will come in to seal the deal or handle challenging and unique problems. Chatbots are preferred by businesses for their simplicity and cost-effectiveness. The technology is adored by customers because of the improved user experience and ability to quickly find solutions to pressing problems. The problem is that it takes a lot of specific knowledge and skill to develop a chatbot from the ground up. Your average legacy chatbot is rules-based and requires a considerable amount of coding, support, maintenance, and manual work. All of the time and money that’s poured into developing these chatbots ultimately defeats the purpose of creating them in the first place. “These time-consuming, resource-intensive development practices are what hinder smaller companies from achieving effective implementation — not to mention the cutthroat competition for the limited pool of engineering talent not already claimed by Fortune 500 giants,” AI expert Yi Zhang notes. The good news is that there’s a much simpler solution that allows businesses to enjoy the customer service benefits of chatbots without draining resources. The answer to resource-intensive chatbot development is a chatbot builder platform that automates the process and requires zero coding and development experience on the business side. There are a variety of these platforms available online, but let’s take a look at a few of the top ones to give you an idea of how you can get started. One of the leading platforms on the market is Botsify. It’s lauded for its simplicity, versatility, and intuitive user experience. According to Siftery, a leading software evaluation firm, there are two major applications for the Botsify platform: (1) you can design chatbots for Facebook, and (2) you can design chatbots for a business website. There’s a free service with basic functionality and an ability to make as many bots as you want. There’s also a paid service, in which Botsify handles all customer service, setup, and implementation. Most customers go with the paid service since the goal is to be as hands-off as possible. Chattypeople is a very popular chatbot platform that makes creating AI chatbots on Facebook with integrated Facebook business functionality a breeze. Chattypeople does a phenomenal job of simplifying everything about the development process. Because there’s no coding (or even advanced language), any entrepreneur or small business owner can get started right away. Like most comparable platforms, there are both free and paid versions. Chatfuel is a wonderful platform, though it does require some basic coding knowledge in order to get the most out of the different features. Once you master the platform, Chatfuel lets you create powerful bots with robust functionality. This includes the ability to let users request information and to provide content cards. Some major companies use Chatfuel – including British Airways, Volkswagen, and MTV – which should give you an idea of just how reliable it is. Octaine.ai is super easy to use. It has tons of pre-built features that can be dragged and dropped – including content, discussions, showcasing, messages, and merchandise – which speeds up the process and allows you to focus on the one thing that really matters: customer service. FlowXO feels like it’s in a class of its own. It’s the only chatbot platform to provide more than 100 different integrations – including Slack, Gmail, FreshBooks, and Facebook – and the visual editor works like a dream. Perhaps the biggest benefit of using FlowXO is that you can create a bot once and then use it across different platforms. Most other tools require you to make the bot again for each platform. It’s also worth noting that there are other methods of developing business bots without the help of a chatbot builder platform. The popular gig site Fiverr has officially launched a new subcategory dedicated to chatbot gigs. This means that, for a nominal price, you could theoretically get someone to design a functional chatbot that meets your customer service needs. This is just another example of how things are moving in the right direction in the chatbot space. Whether you need a chatbot for customer service, internal communication, or anything in between, a lack of coding knowledge and/or resources shouldn’t scare you away. It’s possible to take advantage of powerful AI technology regardless of who you are and what skills you have.